Vaughn Vernon’s previous book Implementing Domain-Driven Design (IDDD) was a real success, filling a gap in the literature. I will not say the same of his new book. If you know the Enterprise Integration Patterns (either by having read the seminal book, or by having used implementations such as Spring Integration) and if you already use Akka, then you will have no difficulty to bring the two together. This book follows the structure of any catalog of patterns even if the style is more informal than commonly employed. Patterns are covered shortly (a description illustrated with a code example) and some complex patterns like the Control Bus are only introduced but not developed at all. To go further, the book contains numerous references to the EIP and IDDD books. Even if the book begins with a short tutorial on the Scala language and on the Akka framework, you better have previous experience with the JVM and a language like Java to not feel at a loss. 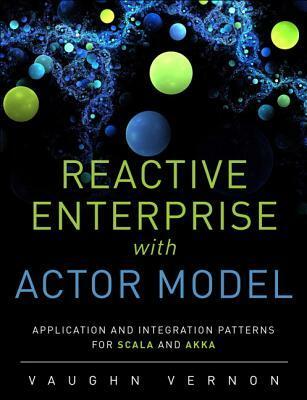 I should concede that Reactive Messaging Patterns with the Actor Model delivers exactly what the title is about, but in the end, I would have prefer a book Reactive Domain Driven Design, highlighting the opportunity of the reactive paradigm in a DDD context. A book structured as a catalog of patterns could not fill that role and, moreover, I felt the author imprisoned in a style that does not allow him to fully develop his subject. If you are interested by a catalog of patterns, I recommend you Reactive Design Pattern, co-written by the Akka lead developer, and clearly focused on the reactive approach.